After the success I had using my new flush cut saw on the pegs, I couldn’t wait to try it on the through tenons. I had quite a few of them to trim…sixteen to be exact. This would have taken a fair amount of time using a chisel or even a backsaw and chisel. 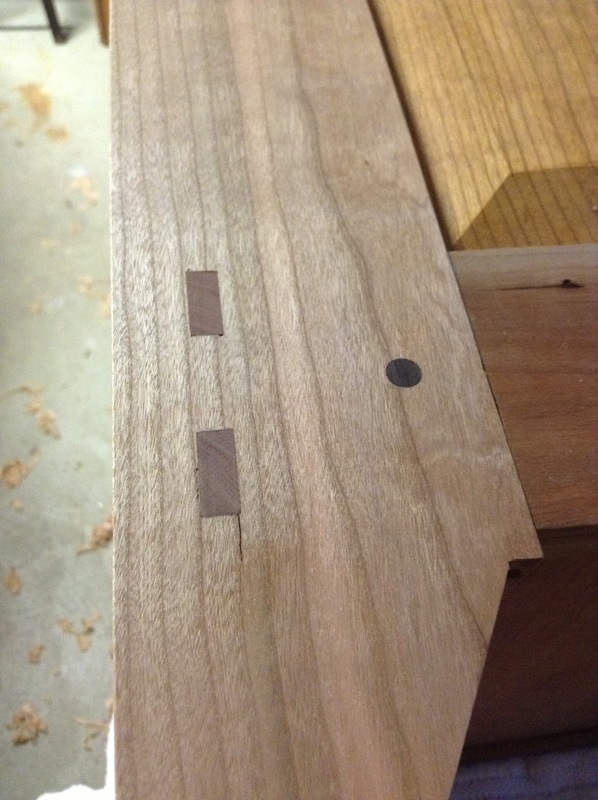 The flush cut saw gets the tenon very close to flush, and it does it very quick. Unfortunately, things did not go as well as they did with the pegs. I had some marks from the saw to clean up when I was done. I am still trying to figure out why. Perhaps it has to do with the angle I was approaching the cut. 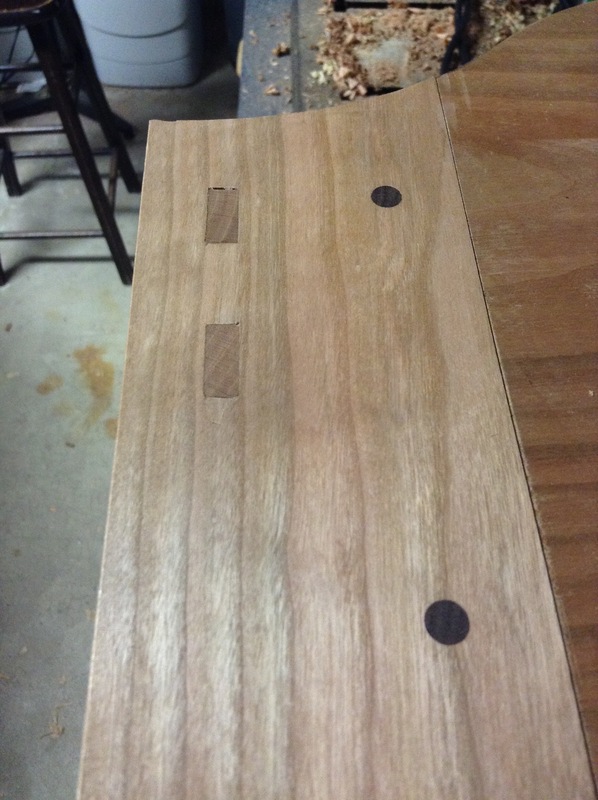 Perhaps it was the larger size of the tenons versus pegs. Perhaps I need to use this new saw a few more times to solve this mystery. Now the marks from the saw were nothing to cry about. They were merely surface scratches, and I was planning on finishing everything up with the block plane anyways…I had some tear-out to tame. I cleaned all the faces up with a finely set, newly sharpened block plane. Then I turned my attention to the edges of the panels. With block plane in hand, I worked all the edges of the panels. I worked a series of chamfers to smooth out any sharp edges…for those little hands who are intended to use the chiffonier. Next I worked over the feet. 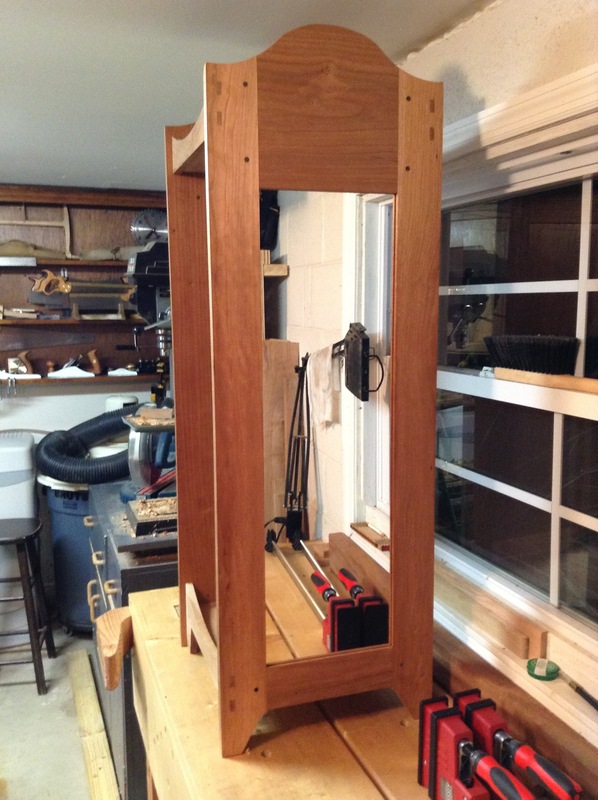 I hoisted the chiffonier up on my bench and noticed a little rocking. I always have trouble figuring out which of the legs is the culprit. The last thing you want to do is get into a situation where you keep taking wood off of the wrong leg thinking you are making it better, when it is slowly getting worse. Then I had an “Ah Ha!” moment. I took one of the legs that I suspected and slid it off the bench slightly. When I did this, the chiffonier stopped rocking. I then slid the offending leg slowly back toward the front of the bench until it stopped. I put a tick mark at that point on the leg. I flipped the chiffonier on its side and planed down the leg until I reached the tick mark. Sweet relief…it worked! Before I went to bed for the night, I managed to bevel all four feet. This will help to prevent splitting the wood should the chiffonier be slid across the floor. 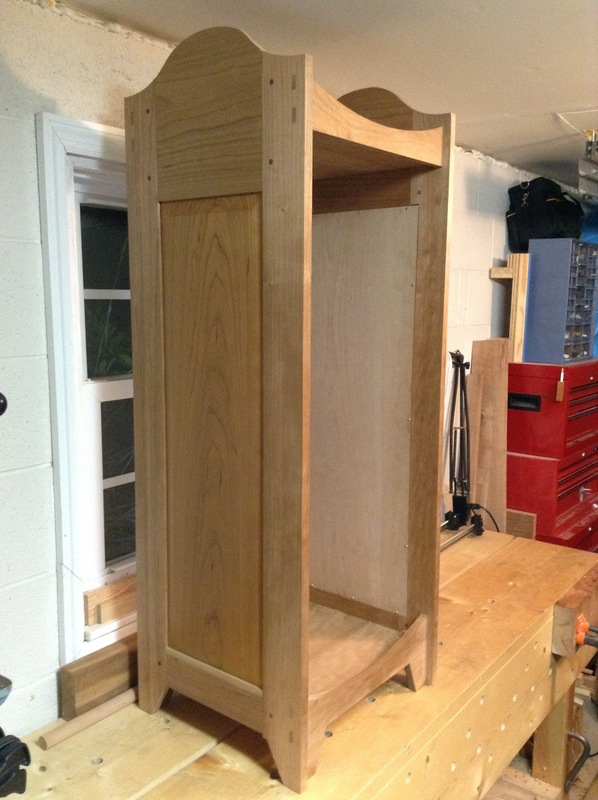 This entry was posted in Chiffonier, furniture, hand tools, VCF, woodworking and tagged cherry, chiffonier, furniture, hand saw, hand tools, mortise and tenon, woodworking by villagecustomfurniture. Bookmark the permalink.